Looking for something delicious and nutritious to enjoy? 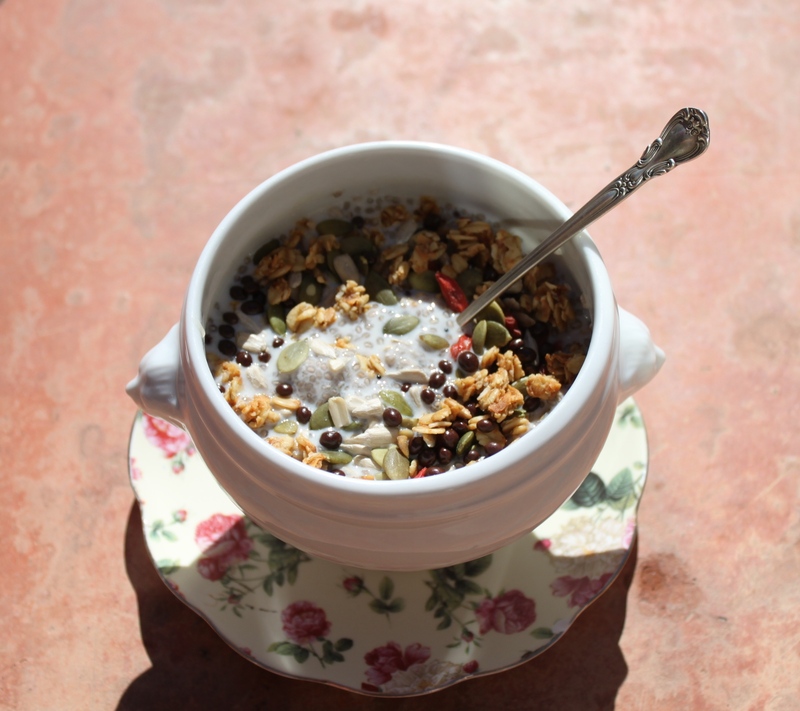 This is my version of the popular chia seed pudding. I highly recommend taking your bowl outdoors to enjoy while being warmed by the sun and serenaded with birdsong. Whisk the chia seeds with the milk. Cover and refrigerate for 3 hours or overnight. After removing from refrigerator, stir, then add in the honey, rosewater and vanilla. Mix all together well. Ooh that looks so yum!